ASRB 2016 LDC Result 2018 Check Here. ASRB Stenographer Skill Test Admit Card 2018 Check Here. ASRB Notification is out. ASRB is recruiting for 173 Stenographer 2018 Skill Test Posts. You can check ASRB - Agricultural Scientists Recruitment Board last date, download ASRB notification, visit ASRB official website and check other ASRB Vacancy details.Complete Vacancy and recruitment Details about 173 Stenographer 2018 Skill Test vacancies in ASRB are provided below by JobSarkari.Com only for you. 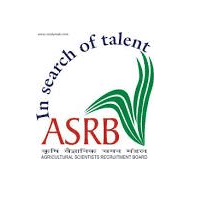 Agricultural Scientists Recruitment Board (ASRB) has announced vacancies/posts Stenographer Grade III , Lower Division Clerk Jobs. This vacancy is allowed through Normal Quota, candidate who want to apply for Agricultural Scientists Recruitment Board (ASRB) Current vacancies can apply 0nline through Jobsarkari.com on or before 25/09/2017. The required information like important dates for applying, age limit, vacancy details, useful weblinks to apply, notification attachments, official site are given below. Candidates who want to apply for the above Agricultural Scientists Recruitment Board (ASRB) 173 Vacancies can read the information below and go through notification if they want the detailed information. The Candidates can apply through online mode. Online application till open from 31st August 2017 to 25st September 2017. Q. What is the Last Date For ASRB Stenographer 2018 Skill Test Vacancy ? A. Last Date for ASRB Stenographer 2018 Skill Test Posts is 25/09/2017. Q. What is the Form Type of ASRB Stenographer 2018 Skill Test Recruitment ? A. The Form Type for ASRB Stenographer 2018 Skill Test Posts is Online. Q. How many vacancies are available in Agricultural Scientists Recruitment Board Stenographer 2018 Skill Test Posts ? A. There are about 173 Vacancies in Agricultural Scientists Recruitment Board Stenographer 2018 Skill Test Posts.